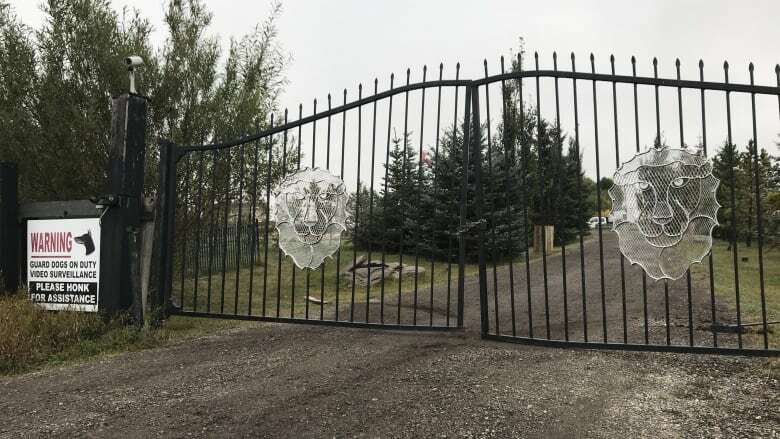 Police said a woman was killed by her own dog Saturday evening in Rocky View County, just east of Calgary. RCMP initially reported the woman's age as 49 and the toddler's age as three, but EMS later clarified the woman was 50 and the child two and a half. 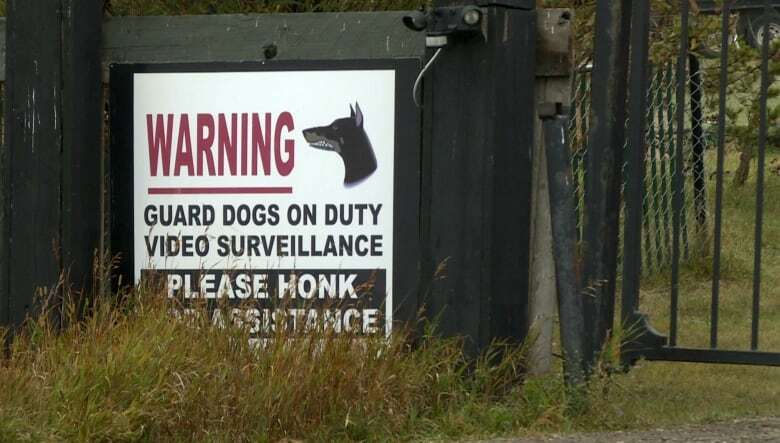 A sign outside the gates of the home where a neighbour said the attack took place warned of guard dogs on duty. "With any dog bite in Alberta if the dog isn't euthanized right away, typically the dog will be quarantined … and that's to monitor the dog for afflictions such as rabies," said Staff Sgt. John Spaans. "In this case, just for the benefit of the surviving victim, it's best to be monitored to see if they had potentially been infected." Spaans said after the monitoring period is over following a dog attack, it's either up to the dog's owner — in this case the victim's family — to have the dog euthanized, or police can apply through the court system to have the dog declared dangerous so it can then be put down. But it's not automatically euthanized, even in a situation where the dog has killed someone. "It's not a guarantee the courts will authorize the destruction," said Spaans. THE FIFTH ESTATE | ​Rebranding the pit bull: Family-friendly pet or danger to children?